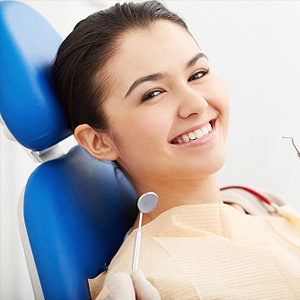 Today’s dentist can not only treat most dental diseases and conditions, but can almost prevent disease completely. Our true needs as a society, however, go beyond the dentist’s chair — to the lack of availability and affordability of care for every American. That’s of grave concern to dentists — so much so that dentistry itself is already changing to meet these challenges. In one of the most visible changes, we’re seeing accelerated technological advancement that could lower costs and extend our range of care. Advances in 3-D digital imaging are giving dentists amazingly detailed views of patients’ mouths that surpass the accuracy of traditional imaging. Telecommunications and the internet are enabling dentists in distant locations to examine patients and even review dental x-rays to guide treatment, providing a new level of care access for patients. The means for delivering that care are also changing as the traditional paradigm of the solo practice becomes more difficult for new dentists to achieve. With educational debt and practice setup costs reaching as high as $1 million — before earning their first dollar — many dentists are joining larger groups or dental corporations. In these arrangements, practitioners don’t have the burden of overhead expenses and can concentrate mainly on their clinical work. On the downside, patients seeing multiple providers may not easily build that all important dentist-patient relationship that’s the hallmark of a solo practice. This alternative model could, however, increase the number of practicing dentists over time, making dental care more widely available. Finally, we’re beginning to see greater collaboration between physicians and dentists. There’s an emerging understanding of the true interconnection of the body’s various systems: diseases of the mouth can affect other diseases of the body, and vice-versa. We’re also experiencing a growing development in salivary diagnosis, using this vital oral fluid to detect conditions and disease in other parts of the body. Dentists and physicians will be working more closely than ever to treat the whole person, not just individual systems — a collaboration that will improve patient care all around. As these changes continue to emerge in dentistry, you may soon see their effects during your visits. One thing, however, won’t change — the commitment of dentists to provide the highest level of care, for both your oral and general health. If you would like more information on how changes in dentistry could affect your care, please contact us or schedule an appointment for a consultation.